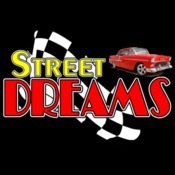 Welcome to StreetDreamsTexas as we celebrate our 20th year in the classic and muscle car business. The Ford Thunderbird, despite major evolutionary changes over the course of eleven generations, was always a car that you could be proud of when pulling up to the country club. This was doubly true of the final (2002-2005) generation, which combined styling cues from the beloved 1st generation (1955-1957) cars with the vastly improved dynamics of a modern vehicle. This beautiful Whisper White 2002 Ford Thunderbird is an extremely clean example of the breed, with a mere 18,270 miles (about 1075 miles per year average) driven since new. This well-cared-for classic is loaded with standard and optional features including speed sensitive variable assist power steering, power 4-wheel disc brakes with ABS, power windows, power door locks, power leather seats, power tilt/telescoping steering column, automatic air conditioning with dual zone controls, 3.9L DOHC V8, 5-speed automatic transmission with overdrive, fully independent suspension, AM/FM stereo with 6 disc in-dash changer, both tops (soft and hard), and the black accent package. The windshield is raked at a racy 67 degrees for a look that says \'GO!\', and the fully independent suspension is the same bit of excellence found under the Jaguar S-type. This low-mileage sweetheart has clearly been pampered and should provide the reliability and longevity of a new car at a fraction of the price. Street Dreams (830-997-1950) is a full service dealership that can assist with worldwide delivery, insurance, and financing options. 1958 Bel Air 2 Dr.